So many of my high maintenance projects begin with the thought, “Piper would love that!” And also, for those kinds of projects, there is always glitter involved (or in this case, sequins). At least I’m predictable. When I saw this fabulous dress up cape at Anthropologie, it was love at first sight. 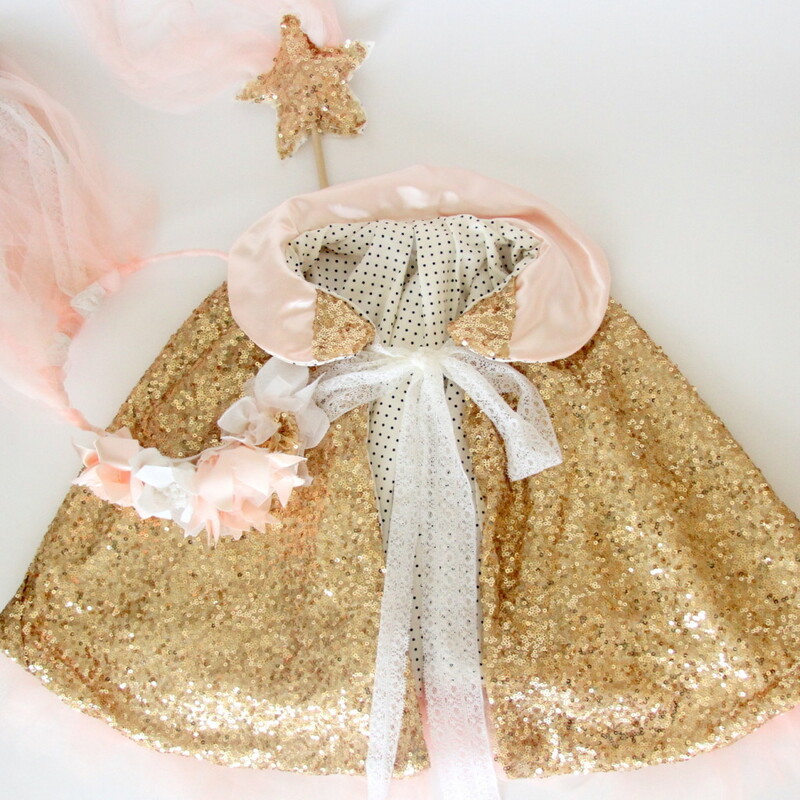 And also the outset of a glittery, high maintenance, fairy-princess-y Christmas gift for Piper. 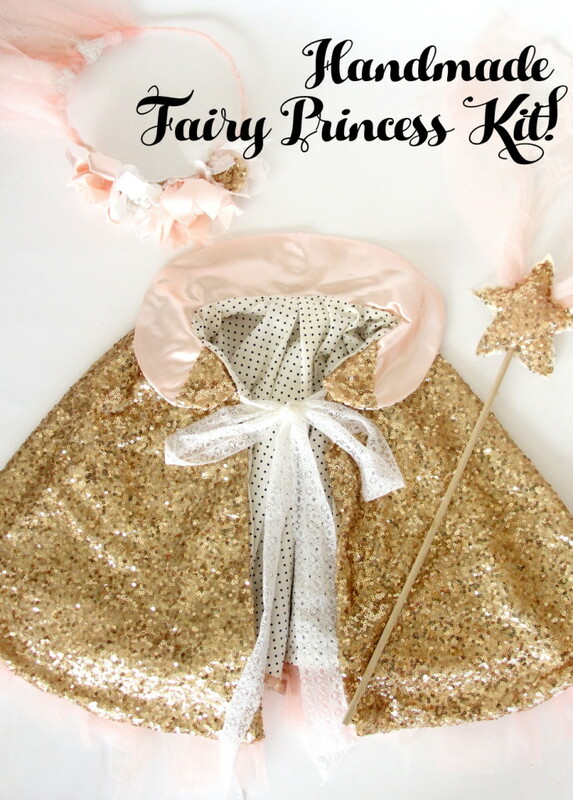 Of course, what’s a glittery dress-up princess cape without a princess wand and a girly flower crown? And thus, the creation of the best fairy princess kit (aka- the star of Christmas morning at the Gentry house… well, maybe to tie with Burke’s minecraft plushies- haha). To make the cape, I used this tutorial, adding a row of gathered tulle along the bottom edge. 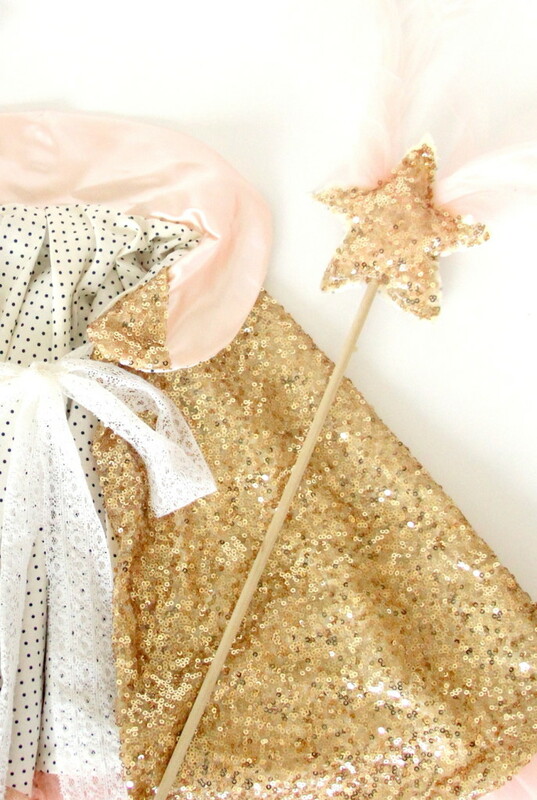 To make the wand, I cut out a couple of stars using the same fabric as the cape, added strips of tulle and chiffon to the center, sewed around the perimeter, leaving a space to place a small dowel rod in center (I added some hot glue to secure the rod in place). 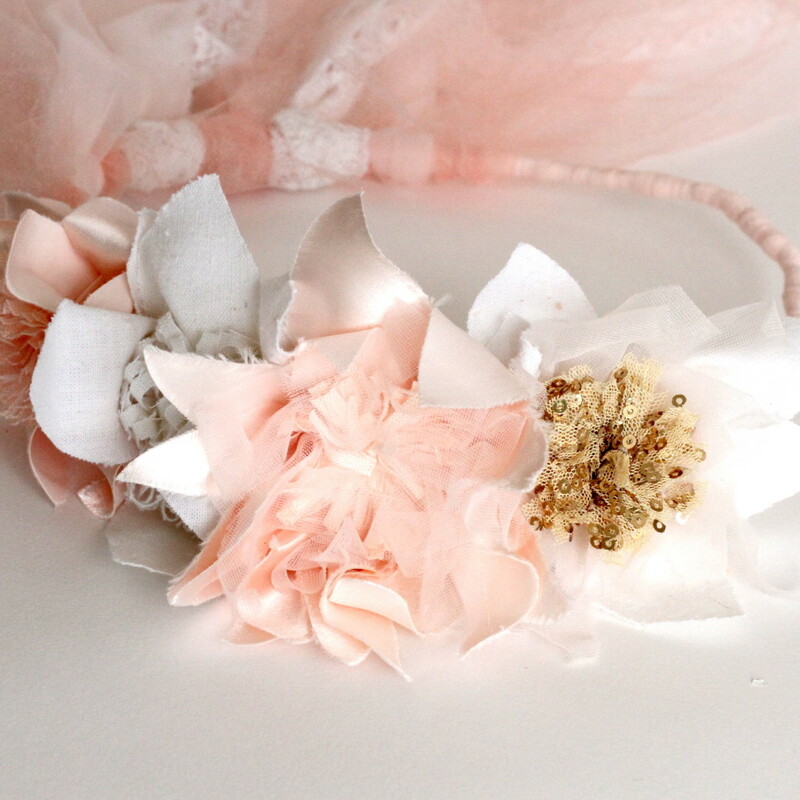 To make the flower crown, I wrapped a wire crown with a strip of non-fray chiffon and made a few fabric flowers (this reminds me- I love fabric flowers. I need to do another round up of great fabric flower tutorials). Then I added strips of tulle, chiffon and trim to the back to complete the flower crown. Y’all, Christmas morning (in Seoul- did I mention that yet!?!?) is going to be so fun! this is beautiful! 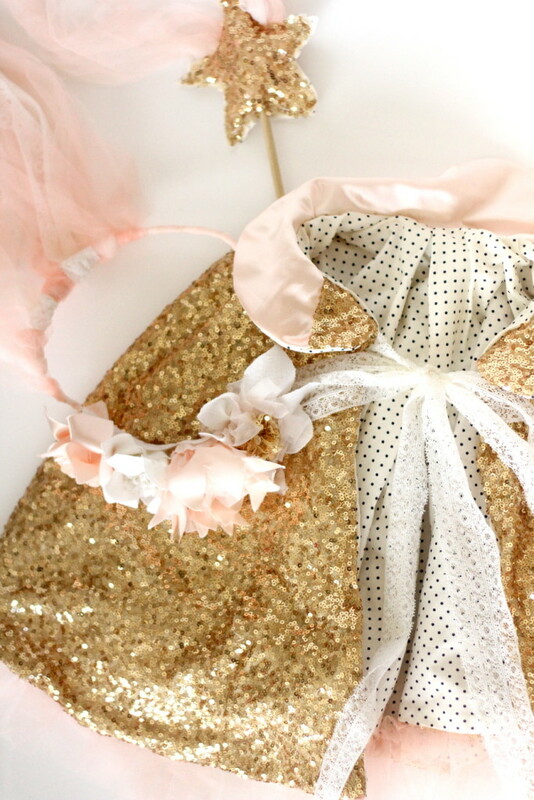 would you please share where you found the gorgeous sequined fabric? Thanks Leah! The sequin fabric was in my stash that I brought to Saipan- no idea where I picked it up. Sorry!